Azerbaijani Youth Organization "Birlik" functioning in the city of Tver, Russia, founded a group called "Mercy". 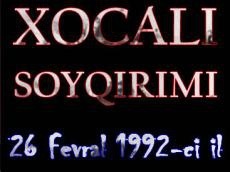 The activists of the group will soon organize a Donor’s Day to honor the memory of Khojaly tragedy victims. During the recent years, activists from "Birlik" organization have been engaged in charitable activity, representative of Azerbaijani Youth Organization of Tver Khatyn Jafarova told media. "Annual visits to the orphanages during the holy month of Ramadan have become a tradition for the Azerbaijani youth. Thus, on January 22 kids from Torzhok orphanage met Azerbaijani friends who came with gifts and offered them interesting entertainment programme," Jafarova said. "We express our special gratitude to the Azerbaijani Youth Organization of Russia, AMOR, which is supporting the Azerbaijani Youth Organization "Birlik," Jafarova stated.